Your upholstered furniture goes through a lot on a daily basis. Whether your sat watching tv, or the kids are climbing all over it. At SJS Leicester we provide the best cleaning method for your furniture, after thoroughly assessing it for colour run and shrinkage. Our upholstery cleaning process won’t damage or leave any harsh residues within your furniture, but it will remove products and oils that have been transferred from your skin and hair, causing increasingly deep stains. We take great pride in restoring the beauty in your furniture and soft furnishings. The proof comes from our happy clients who have left testimonials, as well as our before and after shots, showing some amazing transformations! Upholstery cleaning isn’t the only expert service we offer! 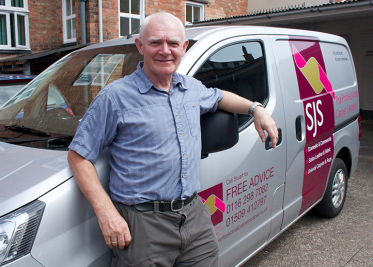 Visit our services and/or news page to see what else SJS, Leicestershire’s professional carpet cleaners can do for you. Sit back, relax and let us do your spring cleaning for you.